Mr. Susumu Koyama, the owner of Mirai Seisakusho in Sanda City, talks about why he created this patisserie where only children are allowed. Patissier Es Koyama is a confectionery shop founded by the world-renowned patissier Susumu Koyama. It is located in Sanda City, in the south-western Hyogo prefecture. It is an amusement park of sweets, covering approximately 5,000 square meters. There are seven shops altogether, including a boulangerie, a chocolate shop, and a cafe. In 2013, Mirai Seisakusho, or the "Future Factory", a patisserie only admitting children up to 12 years of age, opened its doors. It takes approximately an hour to reach Sanda City by train from the urban areas of Kobe and Osaka. Regardless of the distance, many families line up before the opening moment, especially during the weekends. 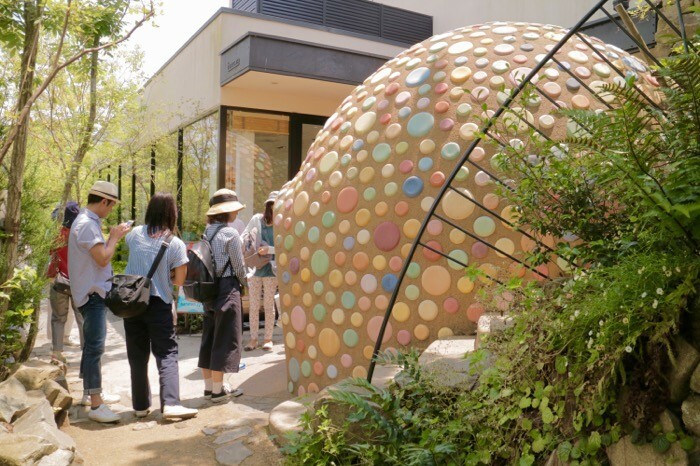 MATCHA interviewed the founder, Mr. Koyama, about the reasons behind opening the Mirai Seisakusho, its appeal to the visitors and how things look after two and half years of business. Patissier and owner of "Patissier Es Koyama"
Born in Kyoto, 1964. 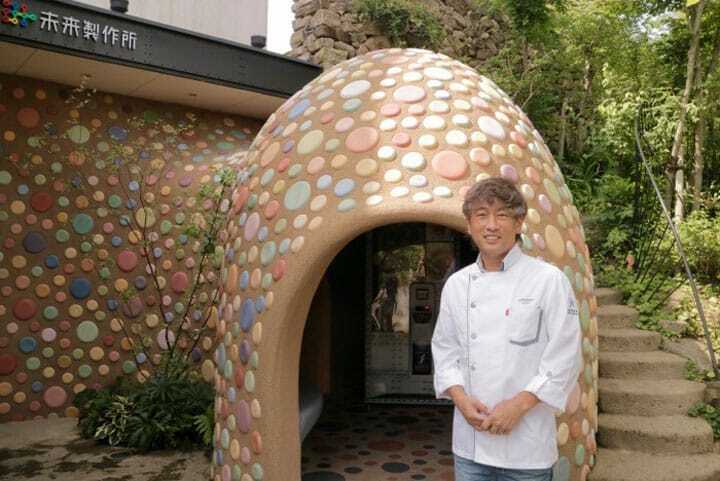 In 2003, he opened "Patissier Es Koyama" located in Sanda City, Hyogo Prefecture. Seven shops including a chocolate store, fresh cake shop, bakery and a Baumkuchen factory are all located on the 5,000 square meter property. It has received the highest prize for five consecutive years starting from 2011 at Salon Du Chocolate Paris, a strictly connoisseur-only festival held annually in Paris. He has also won numerous prizes at the International Chocolate Award, a competition starting with preliminaries in New York and ending with finals in London. He is a true patissier and chocolatier, regarded highly all over the world. Mirai Seisakusho opened in 2013, 10 years after the opening of Patissier Es Koyama. What was the drive behind opening it? Susumu Koyama (Koyama): When I was a child, my mother and the adults in the neighborhood would listen to me every day, telling them about what had happened that day. They would listen and compliment me, but if I fell short with something, they would encourage me as well. In such an environment where children can talk about their lives, they learn how to express themselves. I strongly feel that these experiences have enabled me to create sweets and also shops like Es Koyama. But now, without such stimulus, I am worried that the children's abilities to communicate might be getting weaker. One of the reasons may be that parents are losing their abilities to listen and reach out to their children. I wondered what could be done about it and as a result, I decided to open Mirai Seisakusho, a place for children and their parents to bond. Adults are not allowed to enter Mirai Seisakusho. That way, when the kids get back to their parents, they must explain what they saw inside. I wanted to create that kind of a situation. Adults, even reporters, are not allowed inside Mirai Seisakusho. All the interior photographs were taken by the "child reporters." Besides the fact that only children are allowed at Mirai Seisakusho, what do you think are its strengths? Koyama: As the children grow, the interior scenery of Mirai Seisakusho will change with them. The feelings of a three-year-old differ from that of a five-year-old. It will also be different if you're alone, or with your siblings. Even though the customers are all children, the quality of the sweets remains the same as the other shops. All aspects of the sweets, including the taste, have the same high qualities that products sold to adults do. It seems that there is a kind of a lottery and even anime present inside! Two and a half years have passed since the opening of Mirai Seisakusho. What is the most memorable moment you have had here so far? Koyama: A child who was a regular customer since the beginning came to me with his mother and said, "I'm going to junior high, so I can't enter anymore. Thank you for the fun memories." Hearing those words convinced me that starting Mirai Seisakusho was the right decision. A bayberry grown at the Es Koyama property. These pesticide-free fruits are sometimes used as ingredients for the sweets. What would you say to visitors from abroad? Koyama: There are wonderful confectionery stores all over Japan. Es Koyama is a place where you can enjoy it all; from its beautiful, natural environment to the high-quality sweets and the service it offers. Mirai Seisakusho, also located in the premises is a fun environment for children to learn about communication and expressing themselves. Please come and visit! When not at the patisserie, Mr. Koyama spends time with his five-year-old son and sometimes chats about the Mirai Seisakusho with him. The gentle, fatherly figure in him comes out when he talks about his son. As a patissier, Mr. Koyama tends to his staff the same way as he would to his family. He is always thinking about how to bring out the best of generations to come. That philosophy has driven him to start Mirai Seisakusho. Mirai Seisakusho, a place where children get to speak and adults listen, is definitely a place worth visiting. Mirai Seisakusho - A Children Only Confectionery Store! Access: From the Shin-Sanda Station, take the route 44 Shinki Bus (神姫バス) and get off at the Yurinokidai Yūbinkyoku-mae (ゆりのき台郵便局前) bus stop. Price Range: From 160 yen and up.